This learning-filled, laughter-fueled, FUNdamental presentation provides insight on how to survive AND thrive by tapping the positive power of humor. 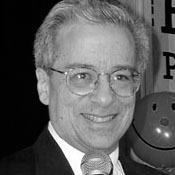 Dr. Joel Goodman, founder of The HUMOR Project in Saratoga Springs and author of eight books, is a popular speaker throughout the United States and abroad (including as far away as Antarctica). He is one of only two speakers in the world to have presented on all seven continents and in all 50 states. Joel has addressed millions of people at conferences and programs for hospitals, schools, non-profits, corporations, government agencies, and associations. Honored to receive the International Lifetime of Laughter Achievement Award, Joel’s pioneering work in the past 34 years has been featured in more than 5000 TV and radio shows, newspapers and magazines in 150+ countries. Humor is a universal language!